I just got back from doing a little shopping. While driving back home a divine revelation, or something like that, came to me! 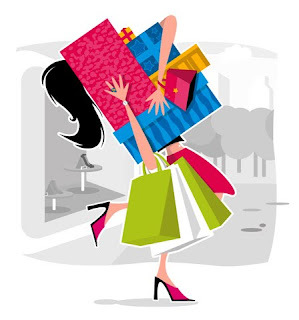 I must confess to you that I have Oniomania (from Greek onios = "for sale," mania = insanity)… it’s a medical term for the compulsive desire to shop. Ok, it’s out! 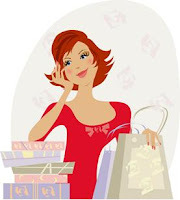 I am a Shopaholic, recovering by the grace of God. But that is not what this blog is about. Where was I? Ay, yes, driving home. As I was cruising down the road, with a smile from ear to ear it hit me- shopping in a department store (as I just did) is like reading the word of God. Ok, before you start throwing Bibles my way allow me to explain. 1. A department store specializes in satisfying the consumers needs. The Bible specializes in satisfying its consumer with the MOST important need- Jesus Christ. 2. Department Stores offer the consumer a choice of multiple products. The Bible offers its consumer with serveral choices of histotical accounts, stories, lessons, exhortations, poetry, law, and prophecy. 3. Each department has something completely different for a specific need yet it is one store. This one store is run by Employees wearing that one store name, they are in submission to a department Supervisor who is accountable to the store Manager. The Bible is just that, each book is unique yet it is one message. The Bible inspired by God, written by men who wear the name of God, in submission to the Holy Spirit prophesy, witnessed and point us to the One who saves our soul, Jesus Christ. Bread- John 6:36 And Jesus said to them, “I am the bread of life. He who comes to Me shall never hunger, and he who believes in Me shall never thirst. Deuteronomy 8:3 So He humbled you, allowed you to hunger, and fed you with manna which you did not know nor did your fathers know, that He might make you know that man shall not live by bread alone; but man lives by every word that proceeds from the mouth of the LORD. Cute Blouse on Sale :) - Isaiah 61:10 I will greatly rejoice in the LORD, My soul shall be joyful in my God; For He has clothed me with the garments of salvation, He has covered me with the robe of righteousness, As a bridegroom decks himself with ornaments, And as a bride adorns herself with her jewels. 1 Peter 3:3-4 Do not let your adornment be merely outward—arranging the hair, wearing gold, or putting on fine apparel— 4 rather let it be the hidden person of the heart, with the incorruptible beauty of a gentle and quiet spirit, which is very precious in the sight of God. Body Wash- John 13:14 If I then, your Lord and Teacher, have washed your feet, you also ought to wash one another’s feet. Children’s Books for my Friend’s Son- Acts 13:49 And the word of the Lord was being spread throughout all the region. Valentines Day Cards- Acts 20:2 While there, he encouraged the believers in all the towns he passed through. So yea, all this to say that if you search the Bible like you do a department store you will find valuable pieces, priceless treasures because He sees the need of your heart and is faithful to meet you there through His words. Me after shopping, always happy... hehe! Thanks Dasha!! It really was an amazing car ride.